June | 2015 | DEBtastic Reads! I am very happy to shine the spotlight on Jody Feldman and book 3 of The Gollywhopper Games. 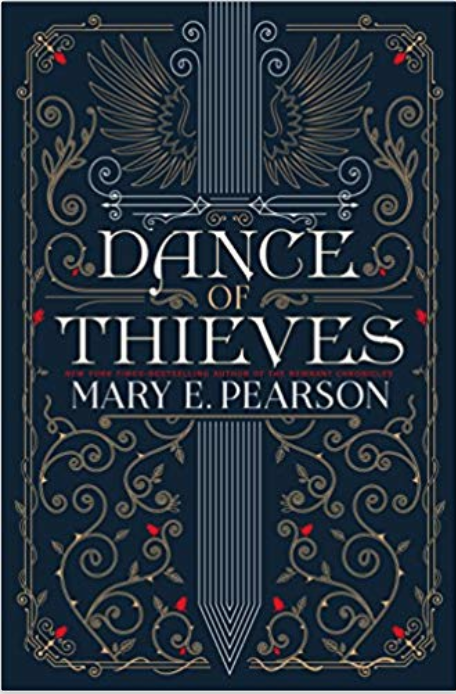 If you or a reader you know are a fan of puzzles, this is the book to read! Stayed tuned below for a chance to win a copy! In book 3 of The Gollywhopper Games series, contestants are chosen for the third Games. All Zane wants is to play for his middle school football team, but a concussion has benched him at least for the season if not indefinitely. When he is chosen as a contestant for the third Gollywhopper Games, he’s intrigued but not as enthusiastic as other contestants might be. But his sharp mind and ability to figure out strategy makes him a strong contender in the games- run by the Golly Games Company, full of puzzles and games and one winner who walks away with a million dollar prize. Zane finds new enthusiasm for the game, his competitive streak comes out, and yet, at the same time forms an unlikely alliance and friendship with competitor Elijah, a brainy boy. In this book full of fun puzzles to solve, readers will cheer for Zane (and maybe Elijah, too) as the games get under way. This is book 3 of the Gollywhopper Games. What fun! Did you envision more than one book when you wrote the first one? How did book 3 come about and what were the particular challenges to writing a “follow up” story? A person can dream, right? When you get an idea and put those first words on paper, you’re—or at least I am—a combination of starry-eyed dreamer and pessimistic realist. From the beginning, I thought I had a great premise for The Gollywhopper Games, and hey!, how awesome if this one book led to more! But I’d never written anything that long before. And how do you write something sort of complicated? And if I actually get through this first draft, wouldn’t that be an accomplishment in itself? But here I am, putting so much time into this, and what if it stinks? And while I was questioning and doubting, the energy that spurred me to write and rewrite and rewrite ad nauseam partially came from the daydreams that A). The book would get published; B). People would discover it, and; C). Readers would clamor for more. I consider myself so fortunate that A, B, and C came true. This little stand-alone demanded more adventures. And then when I got the green light to write books 2 and 3, well, have you ever truly seen a deer in headlights? I didn’t look in the mirror, and maybe I didn’t show it, but inside, oh no!, how can I escape? What did I get myself into? And wait! Look what I got myself into! Then came bouts of internal fist pumping, high leaping, happy dancing (and, yes, some external bouts of the above, except maybe the high leaping which I’m pretty much physically incapable of doing). When I finally realized that, unlike most follow-up books, I couldn’t have the same cast of characters—that the Gollywhopper Games, themselves, were the focal point here—things began to fall into place. I knew these next two books would be more like seasons 2 & 3 of a reality TV show. And yet, I didn’t want each to exist on an island; I wanted something that would tie the stories together. The problem? I hadn’t planted those seemingly random bits that series authors often include and build on in subsequent books. I needed to play on something that didn’t exist before the first Gollywhopper Games (the fictional games themselves). That turned out to be extreme buzz and skyrocketing profits for the sponsor company. So I used the fact that great success often breeds great jealousy to connect the follow-up books to the first. Zane, the main character, totally loves football. It’s because he’s out of commission that he’s drawn to the games once he knows he’ll be a contestant. How did Zane come about? Before I answer, I especially need to address those of you non-football people. READ ON! Here’s what I tell kids all the time. Zane may love football and his whole world may center around the sport, but I’m actually writing about passion. What’s yours? Cooking? Dance? Sewing? Pets? Music? Art? I thought it would be fascinating to see how things would play out if I had a character with a real passion, and one not tied to the Games. I happen to love football and have loved it since I was three years old and became mesmerized by the oil derricks on the Houston Oilers helmets. (I’ll spare you the full story for now.) The skills required of a smart, able football player partially match the skill set necessary for success in the Gollywhopper Games. And so, Zane was born. Readers who love puzzles will absolutely adore this book, although one doesn’t have to solve or even love puzzles to get sucked into this story. There’s a mystery involving possible sabotage, and friendships and competitors form as the games commence. (Come to think of it, in this day and age of reality TV and competition shows, this would make such a cool movie!) Tell us a little about coming up with the puzzles for this book. Was it challenging? Did you enjoy it? What kind of puzzles do you like? I’m not sure what I started loving first: football or a good mental challenge. I’d always been fascinated with riddles. And I was one of those weird kids who secretly looked forward to workbook pages. No, I did not appreciate the drudgery of regurgitating answers. I was always hopeful the particular assignment that day might include the occasional pages of puzzle-style learning. Thanks to my love for all means of brainteasers, word puzzles, and yes, occasional math challenges, it was like I’ve been training all my life to write puzzles. Sometimes, puzzles just come to me like a bolt from the blue. Other times, I need to work at creating them. Every time, however, I take care to craft puzzles with my characters in mind. Because these characters are skilled enough to advance far in the Games, it follows that they need the intelligence, resources, cleverness, and/or background to solve many of the challenges they face. And so, the puzzles I choose and the characters I develop have a sort of interdependent relationship. As for a Gollywhopper Games movie? Let’s figure out how to turn that daydream into reality. Thanks, Debbi! 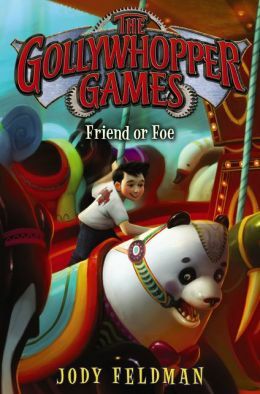 Jody Feldman, the award-winning author of The Gollywhopper Games series and The Seventh Level (both from HarperCollins/Greenwillow), never knew she always wanted to be a writer when she grew up. If you’d cornered her as a kid, she’d have mentioned doctor or teacher, but that was just an answer. Her passions ran more toward treasure hunter, codebreaker, movie director, or inventor, but her practical side couldn’t imagine how to get there. Her path to writing meandered through the University of Missouri School of Journalism and a short career in advertising. She wrote a lot about shoes. And then a lot more. A lifelong resident of St. Louis, Jody likes to travel, cook, watch football, and solve crossword-type puzzles. And she loves knowing she can explore any dream, career or adventure with the characters in her books. For more about Jody and her books, check out her web site, like her on Facebook, or follow her on Twitter! For a chance to win a copy of this book, for yourself, a friend or child, or a library/school, just follow the directions below! Good luck! 1. Comment on this post. And for fun tell me what your favorite kind of puzzle is. I’m not much of a puzzle person (I’m impatient and get easily frustrated) – but I do like those puzzle video games like Tetris. 2. Comment by Saturday June 27th by midnight EST. A winner will be drawn at random and announced here on Tuesday, June 30th. 3. Entrants must have a US mailing address.